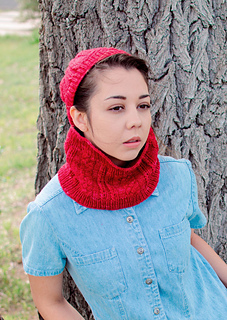 The combination of cables and a close fit to the neck makes this a perfect cowl to keep your neck warm during those cold winter months. 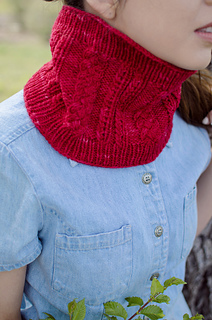 If you haven’t tried working cables without a cable needle, this cowl would be a great practice project for that technique. 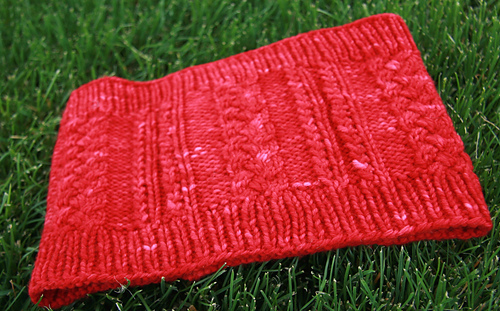 It is knit in the round on circular needles in a worsted weight yarn. 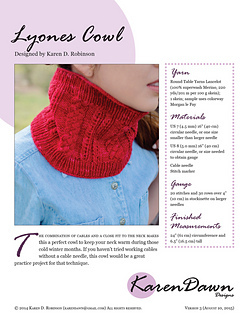 Pattern includes both written directions as well as a chart for the cable and twist section (which is also written out). 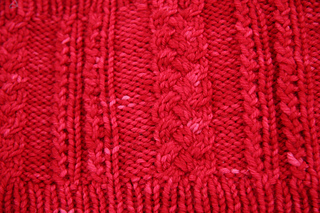 If you would like to try working the cables without a cable needle, this would be a good pattern to try that. I have a tutorial video for this technique. Thank you to my test knitters (dambird, moutons, and MrsN2itiv) who provided valuable feedback. 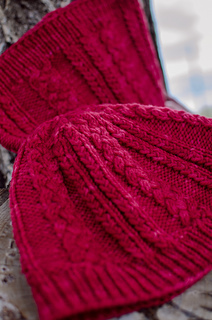 For a matching set, see the Lyonet Hat.